Teen Challenge Ranch for Boys admits troubled boys from Kansas City, Missouri. Learn more about this unique ranch. – troubled teen boarding schools and boarding schools with therapy. Teen Challenge Adventure Ranch helps boys from Kansas City, Missouri on its Northwest Arkansas Campus. It has an exceptional wilderness therapy program, expert counseling and addiction therapy, animal-assisted therapy, and a first-rate educational program, all located on its large new campus. For teen boys with anger, emotional issues, depression, behavioral problems, authority issues, or minor drug abuse, hope exists. The ability to choose a new path is possible through Teen Challenge Adventure Ranch. We lovingly train wayward boys to choose a better path in life, leading them to be godly and upright young men. If you would like to find therapeutic boarding schools or boys ranches in or near Kansas City, Missouri, take into account that Teen Challenge Adventure Ranch could possibly be precisely what you need. Located in Northwest Arkansas, it is obviously a distance from Kansas City, Missouri, but that may be a good thing. Think about this: For boys needing intervention, spending time away from your hometown — away from the negative impact of friends and familiar places — away–away from the effect of friends and familiar places—may be just the thing to start a big change. Parents from across the country, including Kansas City, Missouri, choose Teen Challenge Adventure Ranch for their sons. Since we became the first residential Teen Challenge program for boys, Teen Challenge Adventure Ranch has been offering hope to families for more than five decades. We feel that a relationship with Jesus Christ is the surest way to transformation in the lives of the young men we serve. Every significant portion of our program is biblically based. We feel that centering our program on Christ explains why numerous young men have realized success here, even where other programs failed. Education means a great deal to us at Teen Challenge Adventure Ranch for Boys, because we believe education holds the key to future success. Within our private Christian school with fully accredited classes, boys study courses led by certified teachers, with individual tutoring available to assist those who need it. We offer a GED option for students with too few credits to finish high school in a timely manner. Credits earned can transfer to public or private schools at home. Boys can also learn basic vocational skills for example woodworking, basic electrical, construction and carpentry, shop skills, basic automotive, and more. After completing Teen Challenge Adventure Ranch, many boys prefer to continue their classwork from home through dual enrollment with Alpha Omega Academy distance learning. Boys at Teen Challenge Adventure Ranch take part in a variety of recreational activities, both on and off campus. We run an adventure program that is second to none. Besides being fun and physically challenging for the boys, it teaches them about reaching goals, communicating and working well with others. Many young men have put their lives back on track and have gone on to make a difference for Christ after completing the program at Teen Challenge Adventure Ranch. We would be happy to talk with you to determine if our boarding school is a good option for your son. Whether you choose Teen Challenge Adventure Ranch, a school in Kansas City, Missouri, or another alternative, we hope your family can find the healing that Christ can bring. Please read the rest of our website and use our inquiry form or call us today. We are glad you chose to look at Teen Challenge Adventure Ranch as you search for therapeutic boarding schools in or around Kansas City, Missouri. Excerpt about therapeutic schools in Kansas City, Missouri, used with permission from Wikipedia. therapeutic boarding schools for your teenage boy in or near Kansas City, Missouri. Should you need help finding boarding schools, residential schools for troubled teens, Christian boarding schools or therapeutic boarding schools, please let us know. 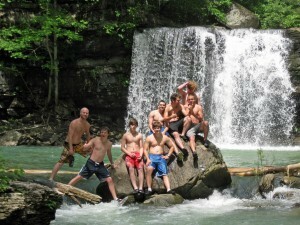 Teen Challenge Adventure Ranch is a Christian therapeutic boarding school and boys home. Boys come to our therapeutic school and home in Northwest Arkansas from across the United States. We help at-risk boys who struggle with behavioral issues. Therapeutic boarding schools and boys homes like Teen Challenge offer behavioral therapy and a rehab for troubled teen boys with teen counseling for boys. It is an affordable therapeutic ranch for at-risk teenage boys, boys with anger, oppositional defiant disorder (ODD), attention deficit disorder (ADD), and attention deficit hyperactivity disorder (ADHD) or rebellion. Teen Challenge Ranch for Boys admits troubled boys from Kansas City, Missouri. Learn more about this unique ranch.